We previously announced that Leucadia-based Fish 101 seafood restaurant would be opening its second branch in Solana Beach, but plans for that location have been scrapped and the crew is now moving northward to Cardiff, taking over the space that last housed Pappalecco's. A casual seafood-centric eatery that launched in the Leucadia area of Encinitas in 2011, Fish 101 was founded by Chef John Park and Ray Lowe who wanted to create a traditional fish house with a menu centered around locally caught seafood prepared into simple and delicious dishes. Both Park & Lowe hail from San Francisco, where the duo previously partnered in restaurant Tokyo Go Go, which they sold in order to move to North County San Diego. Chef Park is a graduate of UCSC and the Culinary Academy of San Francisco and has previously worked at Ace Wasabi's in San Francisco and Cafe Japengo in La Jolla. The Fish 101 location heading into the San Elijo Center in Cardiff will offer a menu of seafood classics like white clam chowder, grilled shrimp cocktail, tuna poke, fish & chips, fresh shucked oysters, as well as a lengthy menu of salads, bowls, tacos, burgers, sandwiches and plates. The eatery will also serve organic soft serve ice cream, as well as a variety of non-alcoholic drinks, craft beer and wines by the glass. 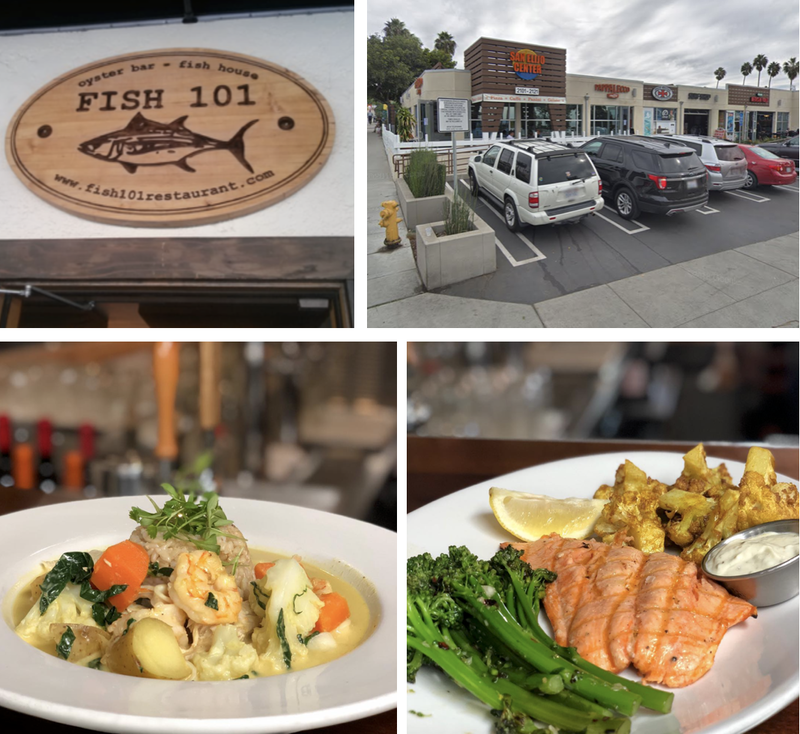 Like Leucadia, the menu at Fish 101 Cardiff will continue to change daily depending on "what’s biting and what’s growing seasonally in gardens". The restaurant is not expected to open until late Summer. Fish 101 will soon install at 2101-2105 San Elijo Avenue in Cardiff. For more information, visit fish101restaurant.com.